Your Freedom VPN client supports several networks for free browsing in Nigeria. And if you haven’t already, you should check out our how to browse with Your Freedom VPN on Android and also on Windows PC, then head back here because we’re giving away several Free Your Freedom Premium Accounts for FREE! Before we delve into this week’s rounds, I will like to announce the winner of last weeks premium account. Babatunde Abiodun Reckorner won one Premium Your-Freedom mobile voucher. Kindly drop a comment using the comment box to receive your free account. The Your Freedom service has been around for a while. It is an all-in-one tunneling VPN used for firewall & proxy bypassing. It provides you with anonymous web surfing and of course it’s an anti-censorship tunneling software is available for all almost all platform. So far no-one has managed to block Your Freedom completely and permanently without blocking your Internet access entirely. This is due to its support for almost all network, especially in Nigeria. A rudimentary service is available for free. It will provide a bit more bandwidth than a modem connection and up to 2 hours of usage per day (up to 5 hours per week), and will probably be enough for all casual users — it’s certainly enough to visit blocked web pages and join chats, and if it suits your needs you are welcome to use it as much as you like. For those who want more, upgrade packages are the way out. That is why we are offering you a chance to win free Your Freedom Premium account. 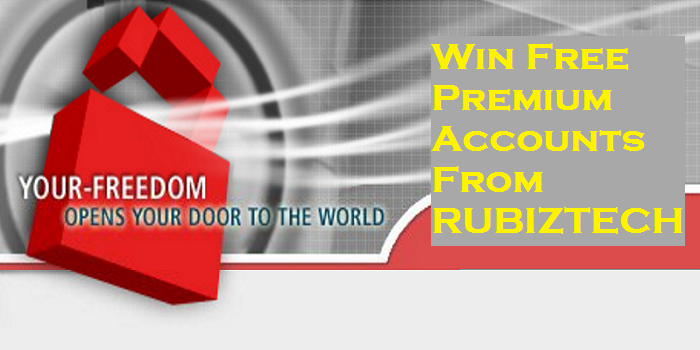 The winner will receive Free Your-Freedom Premium Account that will last for 30days. Register for a unique username and password here. Use the widget below to enter and win free Your Freedom premium Accounts For Browsing. There are several different options, and if you complete them all you’ll have the maximum chance at winning! Please note, we DO verify the winning entries, so if you say you completed something, but you didn’t actually do it, you’ll be disqualified and a new winner will be chosen. This one’s open to all folks everywhere such contests are legal, but we can’t guarantee the premium account will work on your network. (You know how these things go.). The contest is never ending and we’ll announce the winner here every Saturday. That’s it! Good luck, everyone!